When we think of missing persons, we often think of victims who have likely befallen violence at the hands of another. Either they have been killed and their remains concealed, or they were abducted and are being held against their will somewhere. While there are many circumstances under which a person can go missing, those who go missing with mental illness can be some of the most difficult to find. The intricate layered mesh of mental health issues combined with the complexities of a missing persons investigation make for a maddening puzzle that plagues both the heart and the mind. Nationwide interest in missing persons cases most often occurs when the victim is a child or a young adult. News coverage of the Mollie Tibbetts case made it all the way to Washington D.C., with politicians and activists alike invoking her name. Few things attract viewers to news cycles like coverage of a case involving a missing toddler, like that of Lucas Hernandez earlier this year. Cases involving missing adults draw far less attention from both media and law enforcement, despite the fact in 2017, nearly 500k missing persons files collected by the National Crime Information Center (NCIC), 150k were persons who went missing over the age of 21. According to the non-profit Missing People, just because a person is reported as missing does not mean law enforcement will necessarily see it that way. There are many reasons a person might disappear of their own volition. After all, adults are free to conduct their lives as they see fit, beholden to no one so long as they do not break the law. Perhaps they’re a battered spouse attempting to escape their partner, or a person escaping harassment on behalf of people in their community, or maybe they just want a fresh start. These assumptions leave missing adult cases with a high threshold to prove the person is in danger. Take for instance the case of Molly Dattilo, a woman who went missing from Indianapolis in July of 2004. She was a student at Eastern Kentucky University taking summer classes at an IUPUI campus in Indianapolis, trying to finish her education in her fifth year at 22 years old. On the night she went missing, her movements are well-documented. After dropping off a job application at a local Wendy’s restaurant, she bought supplies for school and for her personal hobbies, as well as made a change to her IUPUI schedule. At 11:00 that night, she placed a phone call from a booth at a Thorton’s gas station. When her vehicle was discovered, all of her personal belongings were left behind inside, including her wallet, cell phone, and several more job applications. From what we know, it doesn’t appear Molly had any intentions of running away, or starting over in a new place, so why did it take law enforcement months to get involved in her disappearance? What the Johnny Gosch bill did to change how law enforcement reacts to missing child cases, Molly’s Law did for how law enforcement reacts to cases involving missing adults. The law crafted important procedures for executing investigations into missing adult cases in the state of Indiana, and assists law enforcement and the victims’ families communicate and work in tandem to find their missing loved ones. Governor Mitch Daniels signed the law in 2007, defining once and for all what constituted “high risk” in adult missing person cases and how to obtain information relevant to finding that adult. The law also states law enforcement may enter missing person’s information into the NCIC database as soon as two hours after the person is reported missing. According to the FBI, “A person of any age who is missing and who is under proven physical/mental disability or is senile, thereby subjecting that person or others to personal and immediate danger,” is the requirement for having their information placed in the NCIC database. This can be the difference between your loved one ending up in jail versus the hospital when confronted by law enforcement, whether they are looking for them or not. 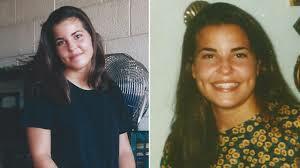 The case of Kristen Modafferi also had a significant impact on law enforcement investigations into missing adults. While Kristen was only 18 at the time of her disappearance, her age still precluded the investigation from valuable resources that might have assisted in finding her. 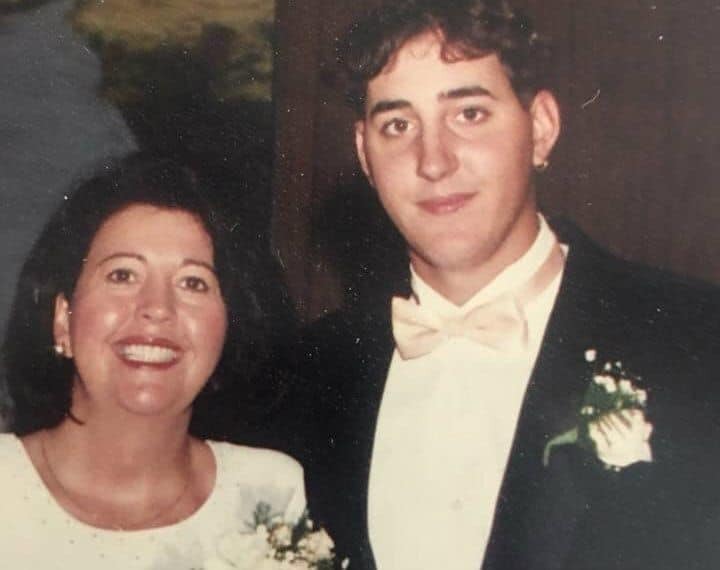 Twenty years later, her case still remains one of the most baffling missing person cases to date. As a reaction to her case, the National Center for Missing Adults was created, one of the first of its kind. Kristen’s Act, signed into law by Bill Clinton in 2000, provided federal funding to organizations like the National Center for Missing Adults. The center lost funding in 2004 after Kristen’s Act expired and continues with the help of donations and volunteer efforts. It is clear missing adult investigations are far more complicated than missing minors. Now when you throw the numerous complexities of mental illness into the intricate layers of a missing adult investigation, the waters become murky in record time. That’s why the National Alliance on Mental Illness (NAMI) recommends acting as soon as possible when a loved one with mental illness goes missing, first by calling the police. Information is key to finding any missing person, so providing law enforcement with all the information you can remember will be instrumental to locating them. Not just identifying information, but also details about their schedule or their daily routine can inform law enforcement of the missing adult’s habits. If your mentally ill loved one is missing for more than three days, you should request law enforcement enter their name onto the FBI’s NCIC list as an “endangered adult.” In addition to contacting the police, NAMI also suggests reaching out to the missing person’s friends and coworkers to see if they’ve heard from them. Once you’ve got a flyer, check nearby hospitals, churches, homeless shelters, and libraries for your loved one, posting flyers where permitted. Getting your missing loved one’s face out there is crucial to their being found. Even more important than posting flyers is creating a social media page with the same information in order to spread the missing person’s face throughout the internet at high speeds. Getting a person’s case to go viral can often draw in helpful tips to law enforcement that can lead to resolution in the case. It is crucial you emphasize the specifics of your loved one’s mental illness so anyone who sees them can react appropriately. It’s important to remain diligent in sharing the person’s picture and their story. The internet offers the average individual an opportunity to cultivate interest in their loved one’s case in a way they cannot control with mainstream media, making it a vital tool in the modern-day missing persons investigation. When dealing with a missing person with mental illness, it’s important you seek the advice of professionals who are familiar with the complexities of their disease. Even if you have known the person for many years, only an expert can speak with certainty to the details of their illness. Contacting your local NAMI affiliate or another accredited mental health organization can put you in touch with people and resources valuable in locating your missing loved one. Remember, these are vulnerable people who might feel threatened, or as if they have no way out. Mental health professionals can help provide answers as to why a loved one disappeared in the first place. Regardless of the specific circumstances, it’s important to have an expert on hand to advise both law enforcement and the family of the intricacies of the person’s mental illness and what they might do next. The disheartening thing is once a missing adult with mental illness has been located, law enforcement is not obligated to detain them unless they have committed a crime or are a danger to themselves and others. They cannot hold them against their will, and they cannot force them to take their medication unless they have been compelled to do so by a court order. It’s not always a happy ending when a missing adult with mental illness is found. Take for instance the case of Christopher Aaron Moreland. His mother, Elise Cash, had given up all hope her son with paranoid schizophrenia would ever be returned to her. After a pattern of increasingly paranoid and suspicious behavior, Christopher had disappeared, leaving a three-month supply of his anti-psychotic medication behind. After fifteen years without answers, Cash was contacted by a woman who said she had found Cash’s son. When the mother was finally reunited with her son, he did not recognize her and refused to return home with her—he even went as far as threatening to call the police if she did not leave him alone. In 2011, he was arrested on a felony possession of marijuana charge, which landed him in jail. This provided Cash with some relief, because at least now she knew where her son was at all times. It’s a startling statistic of epidemic proportions, but rarely is it covered in the media. And even more terrifying, it has the potential to become much worse as the baby boomers continue to age. That’s an estimated 16.5 million individuals who will suffer from Alzheimer’s before the year 2050. In the case of Alzheimer’s and dementia patients, they are adults who cannot afford anything less than immediate response from family and law enforcement. When they cannot remember where they are, where they wanted to go, or how to get back home, they are the definition of endangered. Help for Alzhemier’s Families is a resource website with invaluable information for caregivers. They recommend acting immediately when you realized your loved one with dementia is missing. Conduct a thorough, but expedient search for them in the area where they were last seen—allowing no more than 15 minutes. Monica Moreno is the director of Early-Stage Initiatives for the Alzheimer’s Association. According to her, “Those who wander are often found within a half mile of home or the starting location of the incident.” The first 24 hours after your loved one goes missing is crucial, so if you find no sign of them, call 911. Brace yourself and your memory, as your knowledge about the adult’s habits and behaviors will be crucial to aiding law enforcement in locating them unharmed. Caregivers and loved ones should inform law enforcement of the specifics of their disease so they can issue a Silver Alert. A Silver Alert is like an Amber Alert, except instead of missing children, it concerns missing adults with dementia and other mental disabilities. The scope of the alert varies by state, most specifically persons over 65 who have been medically diagnosed by a medical professional as having a mental disability. Some states recognize persons of any age with a mental disability under the Silver Alert. One of the first nationally-recognized cases that laid the groundwork for this alert was the disappearance of Mattie Moore in 2004. She was a 68-year-old Alzheimer’s patient from Atlanta. After Mattie’s body was located 500 yards from her house, the city of Atlanta invented “Mattie’s Call” as a concentrated effort to support responders in search of missing adults with dementia. Today, there are few states that do not have programs formally known as Silver Alerts, or programs that are similar. 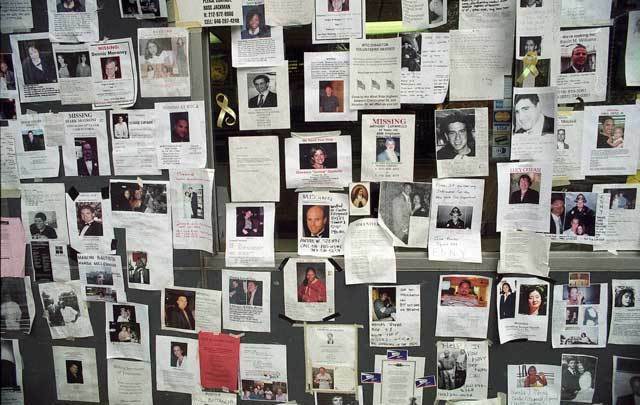 The Department of Justice responded to the epidemic of missing persons in the United States by creating the National Missing and Unidentified Persons System (NamUS). According to them, humanity is running out of time to develop a cure before there is a major spike in missing persons cases due to wandering dementia patients. Caregivers and families should register their loved one with NamUs to increase the likelihood that they will be found and identified. An avenue often unexplored by families of missing adults with mental illness is hiring a private investigator. After all, law enforcement is equipped with the tools and experience to find missing adults, especially ones with mental illnesses. However, private investigators have similar experience and tools as law enforcement, and can give your loved one’s case the focus it demands. Depending on how well-staffed a police department is, the average investigator can juggle between 30-40 cases, leaving your missing loved one with mental illness as a file on someone’s desk. On average, private investigators handle between three and four cases at a time, meaning your missing loved one’s case gets the attention and dedication it deserves. Law enforcement is not obligated to notify the family of a missing adult with mental illness if they locate them, unless they fall under the supervision of the court. A private investigator is restricted by law on the information they can release once an adult with mental illness has been located, but they can inform the missing adult that their family is concerned about them, and the private investigator can relay the message to the family that their loved one has been found. When a loved one goes missing, as private investigator Thomas Lauth says, “the family become members of a club no one wants to join.” And when a loved one with mental illness goes missing, it can exacerbate the fear and dread. Taking action right away will help ensure the investigation gets off to a strong start. Provide information to investigators and spread your loved one’s name and story for the world to see. As Elise Cash said in a post in a Facebook group for locating missing adults, “All it takes is ONE PERSON to recognize Chris somewhere.” Seeking the advice of professionals can not only help you locate the missing adult, but also process the trauma of losing them. It’s just as important for the families of missing adults to take care of themselves while they continue their search. Find solidarity in the social media groups and pages seeking to provide support for families of missing persons. Not only will there be a network of empathetic people to prop you up, but these communities can often kick up new leads for investigators that might lead to a resolution in your case. While missing adults may not receive the same Amber Alerts children do, they still need people to look for them. And when an adult with mental illness goes missing, it’s going to take a network of educated and informed individuals to find them.